Originally, the Anne G. Broady Scholarship Fund (AGBSF) was the avenue for our family and close friends to honor the memory of my mother and her legacy for caring about others. It was October 2013 when “Friends” was first conceived. Later in December 2013 the first “Friends of Copey” Post went out to 17 family members and friends. On January 2, 2014, as Co-Chairs, Dr. Church and I officially announced the start-up campaign for the AGBSF. Scholarship funds raised our first year was enough to support about 20 students. Today, the AGBSF continues with the same purpose although the majority of current supporters never knew Mom. The recent “Financial Scorecard” clearly shows the level of interest, the dedication, and financial support has remained steady and consistent. This year, the total number of AGBSF recipients supported since beginning in 2014 may reach 100. Some donors have already started turning in their support for the AGBSF and we are close to 50% of our goal as we kick off this campaign. The campaign deadline is set to allow sufficient time to determine the scholarship recipients and have them confirmed and ready to start school on February 1, 2018. In 2015, the Copey Learning Center ask “Friends” to partner with them to support the salary for an Executive Director (ED) for the Center. 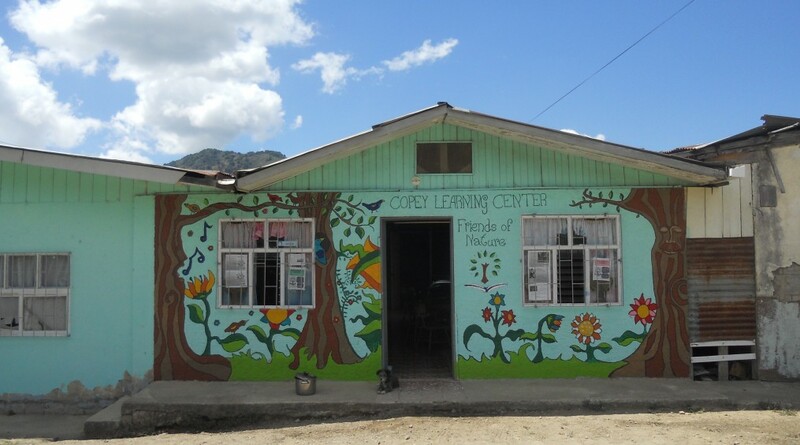 Prior to this, the Copey Learning Center depended solely on volunteers (mostly volunteer teachers from outside the country serving both short and long-term) as leaders of the Center. As a result, the future growth and continuation of the Learning Center was uncertain and failure was a strong concern. “Friends” agreed to be a partner and raised funds to support the salary of a competent and experienced leader to manage the day-to-day operations and provide leadership in building the future of the Learning Center. Our financial support has been significant and successful. Angela was the first ED in 2015 and was followed by Ana Yancy in 2016. Ana Yancy is ready to start her third year as the ED with a wealth of experience to move the Learning Center forward as a strong and viable educational resource for the community and growing to surrounding areas. The fundraising goal represents an estimated 45-50% of the annual salary paid to the ED. I strongly urge “Friends” to regard this support as essential as the scholarship funds. This is our “best” way to help protect the educational investments we are making with the AGBSF. The quality of education our scholarship recipients and the other students receive is determined by the availability and quality of the leadership responsible each day. The Learning Center’s PayPal can be used to make donations directly. Please access their PayPal system by clicking on…http://copeylearningcenter.org/. Locate the PayPal logo in the upper right hand corner of the homepage. To make certain the Learning Center recognizes your donation and how it should be applied, indicate in the comment section that the donation supports the “AGBSF” or the “EDF” (Executive Director Fund). Arthur T. Broady, 725 N. Center Parkway, Apt. N-201, Kennewick, WA 99336 or Phone: 1-509-783-5897 if you have questions. In 2018 there are plans to continue doing what we seem to do best…”Be Friends!” I believe this is a very interesting time in our partnership history with the Learning Center. We all are more experienced and we have strengthened our partnership with the Learning Center having met the Learning Center Board of Trustees and the Copey community during our attendance at the 2017 graduation. Our hopes and expectations are greater than ever. I know praying works! I know positive minded folks produce positive results. And, I know there is a supportive team of donors who support our financial needs when called upon. “Friends” is blessed with having many folks doing all three forms of support. I know this only works when all supporters work together…and proudly consider each one as “Friends”. Thank You All!